Cross and Cutlass: SCAVENGER HUNT STOP #25! Follow the clues to win a Kindle Fire, free books and more! While you're at each stop collect the clue (listed in red at the bottom of the post) and leave a comment (if allowed on that stop). You will move from Stop 1 (STARTS at NOON on 10/25 MST) to Stop 32, where you'll fill out the Rafflecopter form to enter to win the Kindle Fire. During your stops, gather all the clues to create the completed clue quote. If your name is drawn, an email will be sent to you on 10/29/12, at which time you will have 24 hours to respond with the completed clue quote in order to win, or another winner will be chosen. Grant Prize: A new Kindle Fire, plus 31 new novels!! 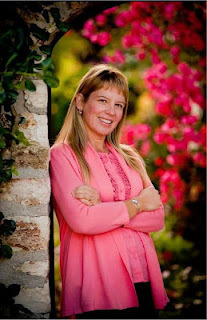 Today I have the privilege of introducing to you, not only a good friend of mine, but one of my favorite authors, Laura Frantz! Laura was born in Kentucky and spent her childhood years roaming the woods and swimming in the rivers depicted in her books. (And if you've read any of her books, you know how vivid her descriptions are!) She attended college in England, where she lived in a manor and studied Shakespeare and the American Revolution from the British perspective (I'm so jealous!) Her research and experience shine through in all of her fabulous novels, each one so full of adventure and romance you won't want to them down! On a bitter December day in 1785, Silas Ballantyne arrives at the door of master blacksmith Liege Lee in York, Pennsylvania. Just months from becoming a master blacksmith himself, Silas is determined to finish his apprenticeship and move west. But Liege soon discovers that Silas is a prodigious worker and craftsman and endeavors to keep him in Lancaster. Silas becomes interested in both of Liege's daughters, the gentle and faith-filled Eden and the clever and high-spirited Elspeth. When he chooses one, will the other's jealousy destroy their love? In this sweeping family saga set in western Pennsylvania, one man's choices in love and work, in friends and enemies, set the stage for generations to come. "Love's Reckoning" is the first entry in The Ballantyne Legacy, a rich, multi-layered historical quartet from talented writer Laura Frantz, beginning in the late 1700s and following the Ballantyne family through the end of the Civil War. Laura has graciously provided one of her deleted scenes!! It is sure to delight those who have read the book, as well as whet the appetite of those who have not! A hope beyond the shadow of a dream. The hotel foyer was hushed, the clerk a bit wide-eyed as they came in. Silas paused at the desk, Eden alongside him. She glanced up the carpeted stairs, her breathing shallow. Had it only been hours ago she’d come down from her room, never daring to hope she’d return a bride? Her cheeks, stained from the heat of his kisses, had hardly cooled. Her tumbled thoughts stretched to their wedding day on the morrow. What, then? “Have you ne’er kissed a lass these eight years past?” she’d teased when he’d taken her in his arms again in the carriage. He’d laughed – a low rumble in his throat – not bothering to answer. Now at the desk she marveled he was so composed when she was so…not. “I’d like Miss Lee to be moved to the bridal suite, if you will,” he said quietly to the clerk as another couple came in. “Our suite, you mean,” she whispered. “Well, I’ll leave you to your persuading then.” With a wink, he turned and disappeared down the steps as quickly as he’d come up. In the gentle flicker of the sconce affixed to one paneled wall, Silas took her in his arms again, trailing hungry kisses from her ear to the soft curve of her neck, her sigh of pleasure a promise of the joys to come. Wow.. I'm hooked already!! Honestly, if you haven't read Laura's books, you are MISSING OUT!! She has a way of writing that just sweeps you away into another world. Before you go, write down this STOP #25 clue: acting." Your next stop is Laura Frantz's blog! BONUS PRIZES AT THIS BLOG ONLY! Leave a comment here on my blog about anything related to Laura's post. Best of luck to each of you and thanks for participating in this year's Christian Fiction Scavenger Hunt! Okay, so I "liked" your Author FaceBook page, MaryLu; I'm already signed up to receive your Author Newsletter; and I will now leave a comment about Laura Frantz's post. I own and have read Laura's - "Love's Reckoning". I enjoyed the novel thoroughly !!! Excellent read, most touching, and I would definitely like to read more of her books. Yes, please enter me in the Contest ... how exciting is this ! Looking forward to the fun. Thanks for the opportunity to join the scavenger hunt. anxious to read this one. I am a FB fan and love the "Hunt" going on. Good morning ladies!! Thanks for participating in the HUNT!! Isn't it fun? I'm so happy to be a part of it this year. Anyway, I wanted to make sure you understood a few things. This is unlike anything I've done on my blog so I don't blame you for being confused.. and no doubt I didn't make things clear enough. Here, on my blog, I'm giving away a $50 Amazon gift certificate and 3 copies of MY books. But you have to do the things I listed plus enter your name in the Rafflecopter form. If you simply enter your name here in the comments, I won't be able to count you. Does that make sense? Best of luck to each of you! Absolutely, right about Laura's writing - it certainly pulls you in. I got excited reading Laura's "about me" paragraph, because I felt a sense of connection in experiences that I am currently studying abroad in England, however it's only for nine months. Still, I wanted to take lectures (ie. classes) from a British perspective (like history of Early Modern England) for my own writing. (which I'm calling the series the "Remmington Pirates Saga"). So it's cool hearing about other author's backgrounds and experiences and reasonings for their own passion for writing. Marylu, thanks for the great giveaway- VOP was amazing, and I can't wait to read more of your books! I too am going to wait to read the deleted scene, I would hate to spoil the book! I must say, I am jealous to that Laura was able to study abroad, and to learn about the American Revolution abroad, how cool is that?! I'd have to imagine their perspective might be a bit different from ours? I'd be curious to know! Looking forward to this scavenger hunt, hopefully I can keep up! I am excited to learn about so many books! And, she is from Kentucky! I live in Kentucky too! I see that Laura is from Kentucky, but went to college in England. Wow what a cultural difference! Thanks for the hunt! I absoutely LOVE the cover Laura chose for her book!!! I'm an artist, and when I go to pick up a book to read, the cover MUST grab my attention. A wonderful piece of work by Laura!! Thanks for being a part of this hunt. I love your work and would love to win a book. God bless you. What a shame to have to delete a beautifully written scene!! Oh, it's truly wonderful to be on your blog, dear MaryLu - you did such a beautiful job of posting this - and also an honor to come over and read comments! Waving at reading friends new and old - for those of you who've enjoyed Love's Reckoning or want to read it, I THANK YOU FROM THE BOTTOM OF MY HEART. You bless me. Happy Thursday to you all - and happy hunting!! So many things to read! Now I just need more time. (o: I love your covers! I wish I was born in Kentucky, like Laura. I am in the midst of reading 'The Frontiersmans Daughter' right now. I think it's my first by Laura. By reading this deleted scene, is that giving away which sister he chooses, or will I still be surprised when I read the book? Maybe I shouldn't have read it! Thanks for giving away some of your books MaryLu! I'm reading Love's Reckoning now, and Silas is a very interesting hero. Laura writes with the ability to impart a physical presence with her heroes. The way that Colonel Cassius Clayton McLinn held a masculine weight of intimidation and charm, Silas is also an imposingly large man, but in a humble, gentle way. I am amazed how she develops her heroes and contrasts her heroines, too. A fabulous writer. Laura, I just LOVED Love's Reckoning! Patty, Bless you - this scene is a bit of a spoiler to those who haven't read it - though icing on the cake for those who have as some have wondered what happened next! I hope, by the time you get to Love's Reckoning, you won't remember which sister! Thank you for taking time for Lael's story. It's very different than my other books - more a coming of age story than a historical romance. Thanks so much for taking part in the hunt! Melanie, KY is such a beautiful state. I hope you can visit if you haven't been there:) Thanks for being here! Debbie Lynne and Kathy, Wow - so touched by your summation of my heroes. Beautifully said. What a blessing to read your words here! I hope you like my next hero, Jack, just as much. He's very different than Colonel McLinn/Cass and Silas - but hopefully has that same physical presence. God bless you for being so gracious. LOVED the deleted scene! This was an amazing book and I can't wait for the sequel! Lisa, I'm so blessed by your words! 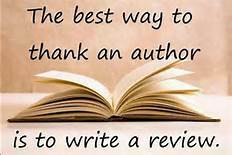 Considering I never thought I'd be anybodys favorite anything, much less author, that's high praise:) I couldn't do it without reading friends like you. You're a gem - you've absolutely made my Thursday!! Thank you. Dear Rosie, HUGS to you!! You sure bless me this cold, grey Thursday:) I'm so thankful you enjoyed Eden and Silas's story. I'm working on Jack and Ellie now and hope you like it just as much. Bless you bunches! Liz R - oh, so glad you liked the delete and the book!! You bless me:) Thanks a million for being here and being so gracious! I just read Love's Reckoning and love love loved it!! Thanks for the extra scene. Yay I love prizes but I love reading more than prizes! Keep up the good work! Amy, OH, I just love, love, love your wonderful comments!! Makes me want to write richer and deeper, my friend. God bless you for your generous heart and enthusiasm!! So excited to read Love's Reckoning. I really enjoy finding awesome new books to read!!! Travelingstacey, I'd recognize that precious picture of you and your baby anywhere:) Thanks so much for taking time for Morrow's story. Very happy it was hard to put down! Thanks, too, for appreciating the description and details. Having a reader notice means so much. Bless you and your loved ones today! Two daughters and a father who benefits. The story of Leah and Rachel comes to mind. Not sure if that's what Laura had in mind. As far as your book, I'm intrigued by the notion of "passing" which Adalie would have to do to be accepted in society and of the interracial relationship in that time period. Laura- I've been salivating over your books forever and still haven't gotten my hands on one. You've got me totally swooning by "On the morrow, else I can persuade her sooner.”.. sigh!!!!!! MaryLu! I loved Veil of Pearls, that was SO well done!! Oh, love that Silas's Scots speech left you swooning. I sense a kindred spirit:) Bless you for saying so! My best friend's house was next to the woods and we spent most of our time roaming around in them. It was so much fun! This scavenger hunt is so great! Where did Laura study in England? I did a semester abroad at Cambridge and absolutely loved it, though I didn't get to study the American Revolution from the British perspective (how cool is that!) -- I studied Shakespeare and medieval iconography. "Meeting" new authors this way is so much fun!!! I have been wanting to read Laura's book for a long time. The cover is so pretty! Great blog and fun scavenger hunt! I love books like these! The deleted scene sure was juicy. I haven't read Love's Reckoning yet but it's on my list! gorgeous cover art! fascinating descriptions for Laura's books. I love that Laura lived in a manor in England during college! What a fun time that must have been! Please enter me in the drawing. Thanks! Thanks so much for this scavenger hunt! Laura lived in a manor in England, huh? Sounds like she was trying to live in one of her own novels!!! WOW! Look at all these great comments! Thanks everyone for dropping by and saying such loving things about Laura and her writing (and my writing too!) I'm sure Laura is truly blessed by your kindness and enthusiasm. I'm also a big fan of her books! Just love her heroes! Hugs to all!! I absolutely love your books! I'm just about to break open your book and so looking forward to it - I've heard wonderful things! And can I tell you that I LOVED Laura's book - this added scene is SOOOO Silas and Lee, too! Liked you on FB, followed you here and signed up for your newsletter - I'm IN! Wow, that was deleted? The rest must be really good, then! HI! I "liked" your Facebook page and signed up for your newsletter. My daughter and I enjoy talking about the Christian Historical Fiction that we read, and both you and Laura are on our list of favorite authors! Looking forward to reading Laura's newest book... and yours, too! I am sorry to say that I have yet to read one of Laura's books. However, I am going to get my hands one. I must! Thanks ya'll for this wonderful entertainment as well as adding to my PILE!!! I am very interested in reading Laura's story. The cover is breathtaking and I love the quote at the beginning of her deleted scene "A hope beyond the shadow of a dream!" Thanks for participating in the scavenger hunt! I read that Laura attended college in England!! How exciting! The hunt is so much fun. 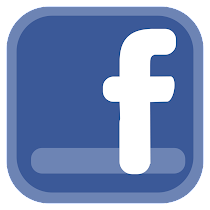 I am a longtime fan of your facebook page, and I just signed up for your newsletter. I mostly lurk on your blog, MaryLu, but I always enjoy reading it, and I learn from it. I dearly love Laura's books, and reading this deleted scene was such a treat! It was interesting to read that Laura grew up in Kentucky and went to school in England. I haven't read Laura's new book but she knows I'm a super fan. This will be my Christmas present to Self. Thank you for participating. What an enjoyable tour today! First, I love the design of your blog! Though maybe it's because I'm using chrome but the text is a little faint & hard to read. But I managed! The book sounds very interesting. Family dynamics can be so complicated. And, of course, feelings. Thanks for hosting this section of the scavenger hunt! So many books! So little time! I've just added this to my "to read" list. I love historical family sagas! Evening, MaryLu. Still 'me' ... and I'm stuck ! I was plodding along in the Scavenger Hunt, and reached #10. Then, I shut down the computer, and planned to come back on it again at a later time. When I came back on -- it somehow jumped up to Clue #25 and onward. Meanwhile, I'm missing from #11 through to #24. Any ideas of "how" to get back to #11 ??? Thanks for any info, MaryLu. Another book by Laura! Awesome!! I have not read much from this time-frames.....but the Ballantyne Series sounds intriquing! I have never read any of Laura's books but I can't wait to try them out!! She was born in Kentucky! She attended college in England! I learned that Laura gre up in Kentucky and attended college in England. She lived in a manor and studied Shakespeare. I'm sure that is why she is such a great writer because of her many life experiences. I would love to win - I liked you on FB, subscribed and now left a comment :) I love Christian Fiction and always pass my books on after I read them. Hi MaryLu! So excited to visit you on the Scavenger Hunt! This excerpt reeled me right in! Sounds delightful! Wow, this is a great giveaway! MARYLU AND LAURA!!!! Gosh, it's old-home week with two of my BESTEST friends!!! LAURA ... why on earth did you cut that scene, girl ... or did they make you??? It was WONDERFUL!!! I responded to the first 60 or so comments, and then I gave up -- plum worn out and can't keep up, so do NOT respond to me, you hear??? JULIE! LOL, Revell never saw it:) I just kept on writing past THE END as I couldn't stop. Had to know the rest of the story, lol. What an awesome sample! Definitely makes me excited to read the book. Thanks for being part of the scavenger hunt! Oh my. A blacksmith who is interested in two sisters? This is a book I have to read! Well MaryLu I've already liked your FB page and I'm already signed up for your newsletter. I already love you!! However, I'd love to win. After reading those deleted scenes I'm blushing a bit but would love to read this book by Laura. I also love an author who writes vividly enough to shine through in their books and fill my head with a perfect picture. God bless lady!! So many books to choose from!! 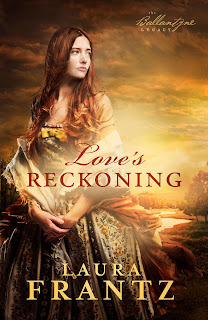 i have read a few of Laura's novels, and am looking forward to this one - Love's Reckoning. i did not read the deleted chapter because i was worried there might be spoilers i'd pick up, but was interested in finding out she went to school in England. Thanks for the chance to win your novels, Mary Lu. I think the Silas triangle with the sisters is going to very interesting! That must of been amazing to attend college overseas and live in a manor and study Shakespeare. What a perspective to write from. the deleted scene makes me want to read the rest... like NOW! I've read a book by Laura Frantz ("Courting Morrow Little"), and look forward to reading more of her books, as I really enjoyed that one! Thanks for the insight into "Love's Reckoning" - another book to add to my growing 'to-read' list! Sounds like another great book to read. love the deleted scene!! so cool! : ) Thanks for sharing the scene. Thank you so much for the clue! :D I've joined your giveaway also! :D Thank you!! Thank you for providing the deleted scene. There are so many good books on this hunt. My "wish list" is getting out of hand! Ahgh! Must bookmark this site and come back to read the deleted scene after I read the book, which is taunting me from my TBR pile. Thank you for this opportunity to win your books. Sounds like they are ones of great adventure. I cannot wait to set sail with you. I just wanted you to know that I am eagerly waiting for the sequel. I read the first book in a day, the fact that I fell in love with Rachel's and Leah's story in the bible and this reminded me of that...so good. I just saw this today but it looks like there is still time to do it, and I recently decided I want to get a Kindle for traveling so... it couldn't come at a better time! Laura's book does sound very interesting. How can writers bear to cut good scenes? I sure couldn't! Anxious to read Laura's book....love yours, Mary Lu. Thanks for joining the Hunt. Hi fierce Hunters!! Welcome to day 2!! Wow.. there's so many people participating in this hunt. It's Amazing! I hope you all are having fun! I wish I could respond to each one of you.. but time does not allow. I know Laura has been reading the comments directed at her as well, and she really appreciates all your kind words!!! Well, don't give up!! The hunt is afoot!!! Can't wait to read Laura's books. My book stack is growing like bamboo. Wow that sounds like an awesome book! Haven't read Laura's books...yet! But they sound so rich in history and detail. Thanks for participating in the scavenger hunt. I would LOVE to live in an English manor like Laura did! Ooooh, that deleted scene looked soo good. Can't wait to read what made it into the book!! Thanks for the fun Ladies. My 'must read' list keeps growing! Oh, a deleted scene! What fun! I love the cover of Love's Reckoning! I signed up for your newletter and liked your facebook page. College in England? I'm jealous! I love Laura Frantz's books!! Courting Morrow Little and Love's Reckoning are my favorites. I've liked you on facebook, and I'm signed up for your newsletter. I have very much enjoyed all of the Laura Frantz books. Her new release is on my wish list. Laura is one of my favorite authors. She's the best! :) Not to mention, her books are so gooood!! Oh my can Laura Frantz write a good love scene! I absolutely loved her "Courting Morrow Little" and can't wait to get a chance to read her newest book! I would love to read your book Laura. My granfather was a blacksmith on the 101 Ranch in Oklahoma. Not many people know about this ranch, in it's time it was a city on it's own. Presidents, Will Rogers, rodeos, all other kinds of dignitaries were all guests on this ranch. Guess I wrote to much. Would love to read your books! Thanks for being in the scavenger hunt!! Thank you for participating in this hunt. I have had so much fun. Thank you for introducing me to another author that I need to check out. How wonderful it would be to live in England for a time. I can't wait to read about what happens with the sisters in Love's Reckoning. I'm having fun and meeting lots of new authors. Go back to #10 or earlier and "fast-forward" to #10 to click on the post for #11 to go forward. Interesting post here! How do you decide what to cut and what to keep? Page numbers exceeded, or as you said, to find out what happens next? So many Christian authors I haven't heard of before. New ones to read. Cherie, NO, you didn't write too much, my friend!! Love your grandfather's history - wow - I have such respect for "real" blacksmiths after researching them and watching them at work. It was a very difficult, dangerous trade that required tons of skill and even an artisanship. Hang on to that precious family history:) And thanks so much for sharing it here! HUGE THANKS to everyone for your very uplifting comments! And to those of you who've read my books or want to do so!! You bless me more than you know. It's a joy to see new reading friends and those I already know. God is so good to bring us together in such a creative way! I would love to read the English perspective of the Revolutionary War - an interesting study! Hi Kathleen! So happy to see you here:) I can almost smell that salt water, too! Good question about word count. Actually, author contracts specify word count very clearly. Long historical writers like myself usually can write up to 110 thousand words though the contracted amount is 100k. I just heard/read that even a few pages over a book's desired page amount can add up to $1.30 per book which the publisher pays in production. Not sure if this is fact but it seems about right. As for me, I can just write into infinity as I never want to end a story! Thanks for the opportunity. It's been a lot of fun. Although an Army brat, my hometown is in the No Man's land along the TXLA border. I grew up hearing stories of pirates, outlaws, sunken treasure, buried treasure and treasure hunters. I am so looking forward to reading your books. I liked you on facebook and subscribed to your newsletter and EVEN found your Pinterest button! As far as Laura's post, I think it's so fascinating that she was able to learn about the Revelution from England's point of view. Laura Frantz is a new author for me, but I love to read books of this time period. I loved the "lost" chapter of Love's Reckoning it is one my favorite books of Laura's. I cannot wait until the next book comes out. You all have blessed Laura and me so much! Thank you all for your great comments! Thank you to those who "liked" my facebook and joined my newsletter. I hope you'll check out my books as well. And I'm waving at old friends and readers! Thank you for coming by!! If you haven't read Laura's books, you are in for a treat!! Well, you can probably see that from the deleted scene. :-) She is definitely one of my favorites! If you don't win her book, run not walk to your nearest Amazon and get a copy. I hope you all are enjoying the Hunt! It continues through Sunday so tell your friends!! And don't forget to gather your clues.. I've never read a Laura Frantz book but this one sounds very interesting! Will have to add it to my list of books to read. Enjoyed the deleted scene, would love to read the whole book! liked the facebook page and signed up for the newsletter! would love to win! Thanks for the opportunity to meet all the authors! Would like to read one of Laura Frantz's books. Since she's from Kentucky, she's a near neighbor! I think the cover of "Loves Reckoning" is beautiful. One of the better book covers I have seen. Salyna, So happy you like the cover! Kim, Thanks for the extra time in doing all these things for us authors - that goes for everyone participating here! Kim, Your kind words mean so much - I pray the book blesses you if you read! Sammy and Anon - Bless you for adding us to your TBR list! That's a true honor! I might have a book heart attack soon. Must read every book! Love Laura's studies give such a different perspective. Thanks for participating in this Hunt. Fun & enlightening. Can't wait to read it! I have at least 3 of Laura Frantz books and one on my keeper shelf. I didn't know about her education in England on the Revolutionary War from the British perspective but now that makes sense--in that some of her heros are British or becoming new Americans. My favorite so far is Courting Morrow Little who falls in love with a Shawnee Warrior. I also enjoyed your historical books especially Surrender the Heart. Thanks for participating in this scavenger hunt. I'm really looking forward to reading The Ballantyne Legacy--thanks for the deleted scene to give me a flavor for the new series! Can you believe I haven't read anything of yours? Me neither! Lol Amberat Seasons of Humility loves you and has had you on the blog many times, but I've still never gotten my hands on one of your books :O It's a crime lol I'd love to read some of your stuff :) Thanks for the opportunity! I was transplanted to KY 33 years ago. I would love reading your books as they mentioned the rivers of KY.
Love's Reckoning looks like it could be very interesting!!! I just finished Love's Reckoning this week and enjoyed every minute. I believe my heart stopped at the end of one of her chapters (don't worry I won't give any spoilers). I so enjoy reading Laura's books! Looking foward to reading your books. Ny the time winter is over, i will have hundreds of new book friends. Thank you so much for the extra scene, I absolutely loved Silas and Eden's story, and I can't wait for the sequel! Yowzers! That was some scene Laura, can you say sizzzzzle?! Hahaha! You ladies sure now how to write 'em! Anybody who's read this deleted excerpt, Laura's books ALL have great sizzling moments like this so you won't be disappointed if you liked the above scene. Trust me. Hi MaryLu good to see you along the "Hunt" and thanks for hosting Laura this is an author I am aware of and like her stories, she is a another Kentuckian like myself so we are kindred souls. So glad I got to see both of you ladies along the Hunt today....having fun. I enjoyed the scene thank you. I'm looking forward to reading the book. Oh, that book cover is beautiful! The sky and the dress match perfectly. Thanks for participating in the scavenger hunt! Just stopping in to say hello and thanks for participating131 in the Scavenger Hunt. I'm enjoying discovering new authors! All these books do sound interesting. The only thing about the deleted scene from Laura's book is that it is almost a spoiler as it seems to say which of the two sisters he ends up with. I say seems because something could always go wrong and they don't end up together after all. I haven't read the book so I can't know for sure. Great post. This Scavenger Hunt is fun! Love's Reckoning sounds very interesting! I will have to read it! I want to read Love's Reckoning now! I'm loving this scavenger hunt! And Love's Reckoning sounds interesting. Wow! What a fun idea! I have so enjoyed learning more about my favorite authors and meeting new ones. LOVE the deleted scene from Laura's book! So good! Thank you for participating in such a fun event! I've been reading great things about Laura's books but haven't yet read them (so many books, so little time). The deleted scene makes me really want to read Love's Reckoning. Thanks also for the chance to win the Amazon gift certificate and one of your books. I've read a couple, including Veil of Pearls, and liked them very much. Really enjoyed reading about Laura's book!! Thank you! I will be adding your books to my "to read" list. This scavenger hunt has been great! Sounds like a very excited and interesting book! Laura's books are right up my alley. Love historical series books. Hope I win won. Thanks for sharing Laura with us. Thanks for another great find on the Scavenger Hunt! So excited to check out your books! Thanks for being part of the hunt and giving an opportunity to win. Oh my goodness! I want to read that book right now! And, I have a huge stack to read! Not to mention a lot on my Kindle app!! It really sounds like a great book. Thanks for sharing! I've yet to read Love's Reckoning, but I've hear a lot of good things about it. I love the cover of Laura's book, Love's Reckoning. It's beautiful! Thank you for the giveaways. Laura Frantz's books get better with each one. I can't wait to read Love's Reckoning. Sounds like a wonderful book. Following several generations of a family in one books is a fascinating concept. Should be a great read! I love chocolate, popcorn and even more Charleston SC! I enjoyed your facts on the other blog and look forward to reading your book! Thanks for participating in the scavenger hunt and for offering the extra giveaway! This has been a lot of fun. Laura's book looks really good. The excerpt was great! She is yet another author that I have not been familiar with! The cover for Love's Reckoning is absolutely gorgeous and I can't wait for the oppurtunity to read it!!! I love the cover of her book and love getting to see a deleted scene!